Rock music has always contained a strain of novelty records, and among them have been discs parodying the music itself. 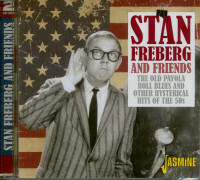 The earliest, and still the best, were made during the Fifties by Stan Freberg, who was born on August 7, 1926. He began on radio in the late Forties, doing impersonations, and was soon in demand as a voice for cartoon films. 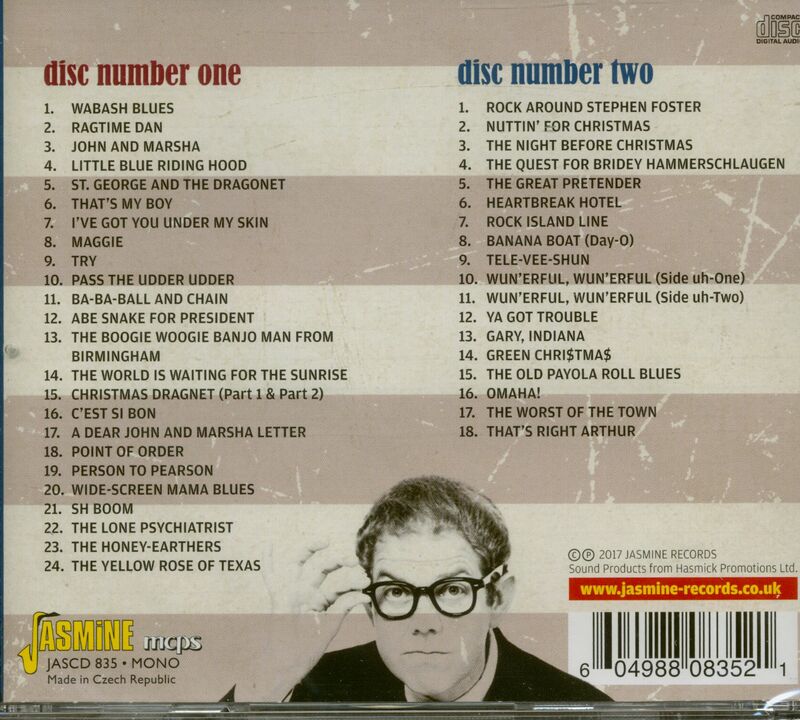 His first record was 'John And Marsha' a satire on soap operas, for Capitol in 1950. The arrival of rock'n'roll provided him with a whole new area in which to exercise his satirical talent. He delighted in parodying the stylized recordings of both black and white performers, and he had a keen eye for the machinations of the get-rich-quick merchants in the music business. Among his hits were hilarious versions of Presley's 'Heartbreak Hotel', Donegan's sldffle version of 'Rock Island Line' and the Platters' The Great Pretender'. He picked upon the most identifiable feature of the original — Presley's vocal echo, 11h Donegan's spoken introduction in an acquired drawl, and the doo-wop vocals and constant piano figure behind the Platters. Those features, in fact, which the established musi-cal world might have thought the most facile elements of the new music. The overall impression, however, is not one of distaste but of the creative brilliance of the satire. Freberg had, in any case, already parodied that pillar of the previous musical order, Johnnie Ray, and also Southern attitudes in `Yellow Rose Of Texas', plus the slick sleuth genre in 'St. George And The Dragonet'. With 'Banana Boat' he returned to the 'making of a record theme' utilized on the rock parodies. As an extension of this, he came up with his own comment on one of the realities of rock with 'The Old Payola Roll Blues', which followed the late Fifties' bribery investi-gations and featured teenage idol 'Clyde Ankle'. 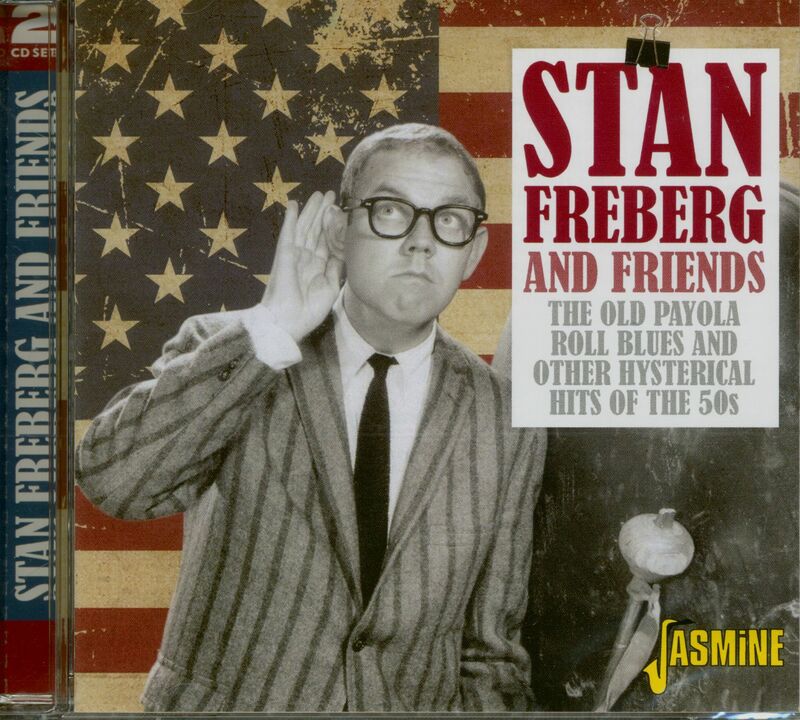 Customer evaluation for "Stan Freberg And Friends - The Old Payola Roll Blues And Other Hysterical Hits (2-CD)"